Table Service (wait staff) | Click on any image to view larger. The The Hollywood Brown Derby Lounge listing is a Table Service (wait staff) dining location at Hollywood Studios featuring American, Wine, Beer, Spirits or Beverage-based cuisine. There are 7 photos in the Mealtrip photo gallery for this location and dining period. 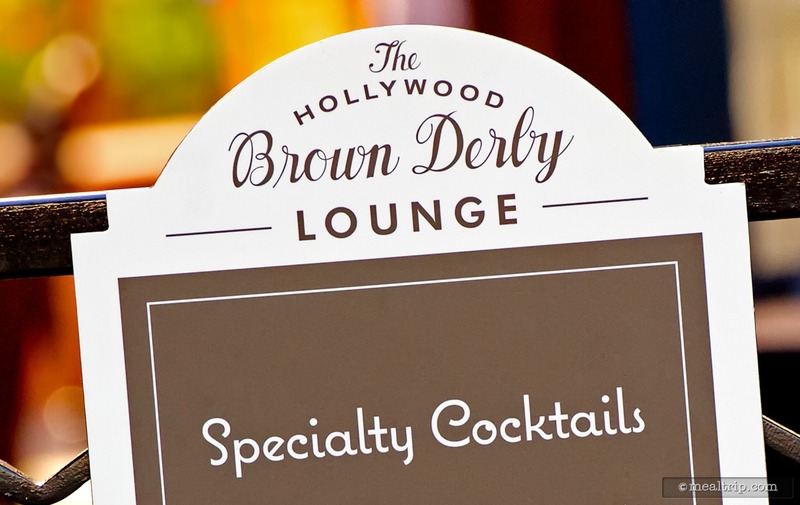 The The Hollywood Brown Derby Lounge listing currently has a score of 59 out of 100. 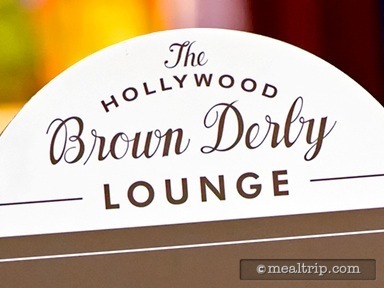 Click here to read all of the reviews for this location, or log in to Mealtrip.com to add your own review for The Hollywood Brown Derby Lounge. Small sign on the gate leading into the Brown Derby Lounge. 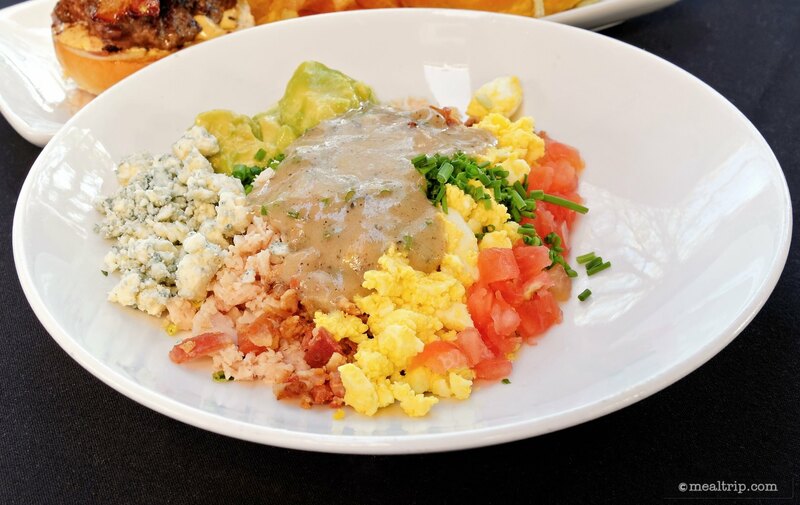 The Brown Derby "Lounge" Cobb Salad, is sized for one, and not the larger salad that is available in the Brown Derby itself. 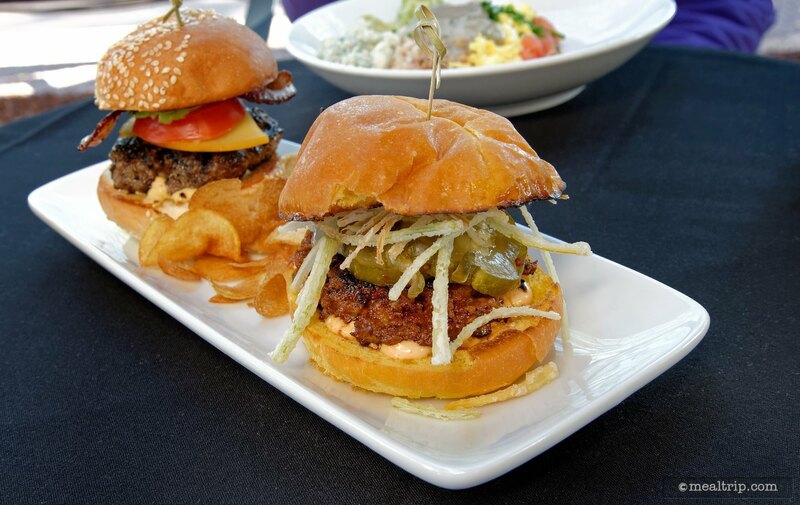 Derby Sliders, the front-most slider in this photo, is the house-made chorizo with chipotle mayo slider, with manchego cheese, pickles, and crispy onions. This is the Wagyu beef slider from the "Derby Slider" pair. 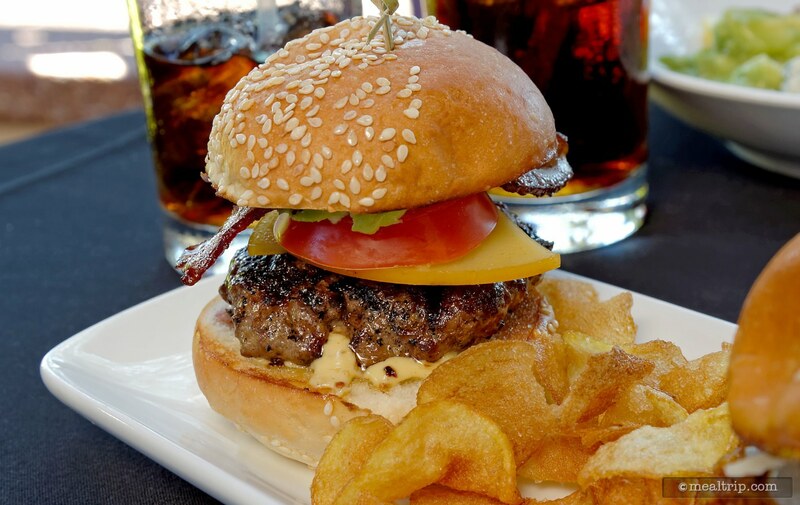 It features cognac-mustard aioli, smoked gouda, bacon and avocado. The Brown Derby Lounge Mini-Desserts (you can select any three). 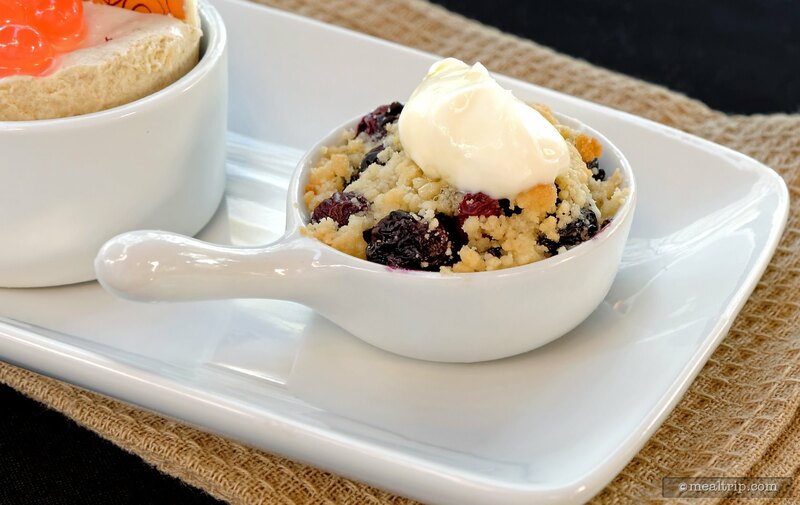 Pictured is the Warm Blueberry Cobbler with creme fraiche and orange blossom honey. 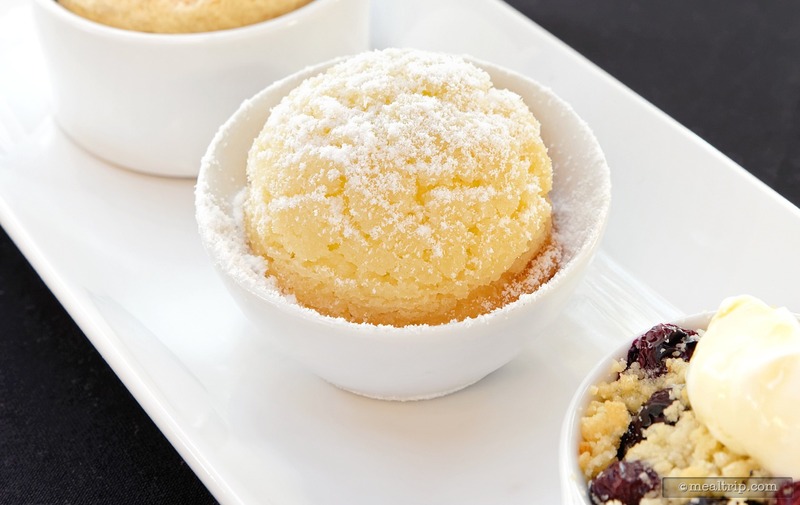 The Brown Derby Lounge Mini-Desserts (you can select any three). 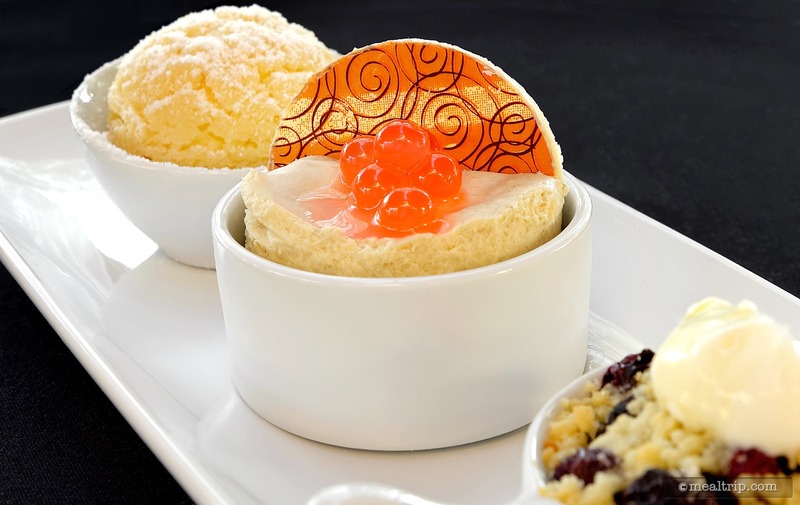 Pictured is the Crunchu Sugar Cookie Puff with Lemongrass Cream. The Brown Derby Lounge Mini-Desserts (you can select any three). Pictured (in the front) is the Banana Toffee Cake on cocoa crunch with strawberry pearls.